Traffic issue is at its pick point now a days in all the countries. Nobody wants to get late for office or anywhere else and wants to reach in time. But what if you will get stuck in traffic while you are going for an important work? US tech giant, Google, has rolled out a feature in its Maps for Android users where they can see a graph on the best time to travel. This new travel time graph is currently available in the US and Britain among with a common direction route -- has bars for half an hour before, and a few hours after the current time. As Android Police reported there is also a dotted line above the bars with a time indicated. Definitely this feature will helps users not only to get somewhere or how long the trip should take but it also provides information of the best time to leave highlighted in either green, yellow or red to indicate current traffic conditions. The Verge reported that this new feature is only available for Maps users on Android and it pops up when you input directions. Report added that along with showing you the usual estimated time and distance, a new bar graph will also show an estimated of both how long it would have taken a half hour earlier and how long it will take in the next few hours. 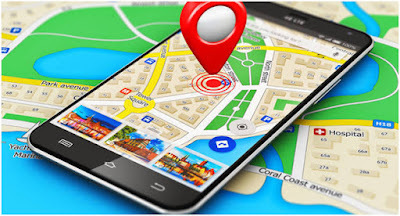 Google recently rolled out a new home screen on Maps for Android. It loads fast so that millions of people across the country who come online can discover and share great places even during patchy connections.